Quick Recap: Tracy Samantha Lord, who is in HIGH SOCIETY, is set to marry the very boring George. The only problem is that her ex-husband, Dexter, is still in love with her, as well as a reporter from SPY Magazine. Tracy must choose between these three men. Oh, the problems of being in HIGH SOCIETY. 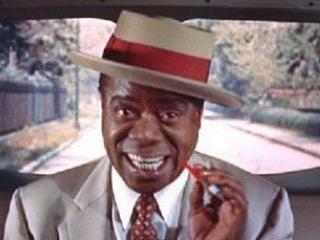 Also, Louis Armstrong starts the movie by basically singing the plot just to make sure everyone is on the same page. Fun (?) Fact: At the time of filming, Grace Kelly was only 26, while her love interests were 40 and 53. My Thoughts: I always knew that this ‘musical comedy’ genre of movies existed, but I think this is the first one I actually sat through. As with everything, I do my best to keep an open mind but when the first scene of the movie is a guy singing the plot of the movie, I know I’m doomed. That’s not to say I don’t like musicals; I just don’t think musical comedies are a thing I am going to readily enjoy. The banter between Sinatra and Bing Crosby was fun enough, and oh my god was Grace Kelly gorgeous. Those parts kept me going throughout the NINE musical numbers. All of the musical scenes involve characters sing-talking to each other, which, in my opinion , is the very lowest form of musical selections. On a personal level, there was the novelty of actually seeing Crosby and Sinatra singing for the first time because I don’t think I’ve ever experienced that before. They are extremely talented and it’s no wonder they were so popular. In fact, watching them sing inspired me to broaden my vinyl search the next time I shop at a record store. I dug the crooning style, even if I wasn’t a fan of the actual numbers. And Louis Armstrong was quite a character. I’m not really sure what his point was in the film, except for the trailers to say, ‘Hey! Look! We have Louis Armstrong!’. The plot of the film was also an issue for me. Here’s Tracy (played by Grace Kelly), who is set to marry a handsome man in good standing, albeit a bit boring. And that’s not good enough for her because her ex-husband (Crosby) is still in love with her. That’s enough of a situation to carry the movie but NO Sinatra has to show up (Mike in the movie) and throw his hat in the ring. At some point, Tracy believes she has slept with Mike, and hilarity ensues when everyone casually tries to figure out the truth. The movie ends with Tracy breaking off her engagement to George right before she is set to marry him and then at the last second, with NO talk beforehand, deciding to remarry her ex. It wasn’t a surprise by any stretch of the imagination but still incredibly silly. Final review: 2/5. I’m tempted to give it a one but I do have to appreciate the musical talent. 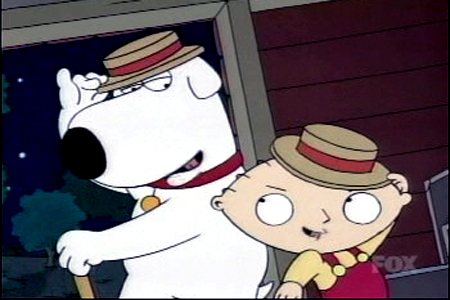 Also, watching this movie made me appreciate Seth Macfarlane even more.